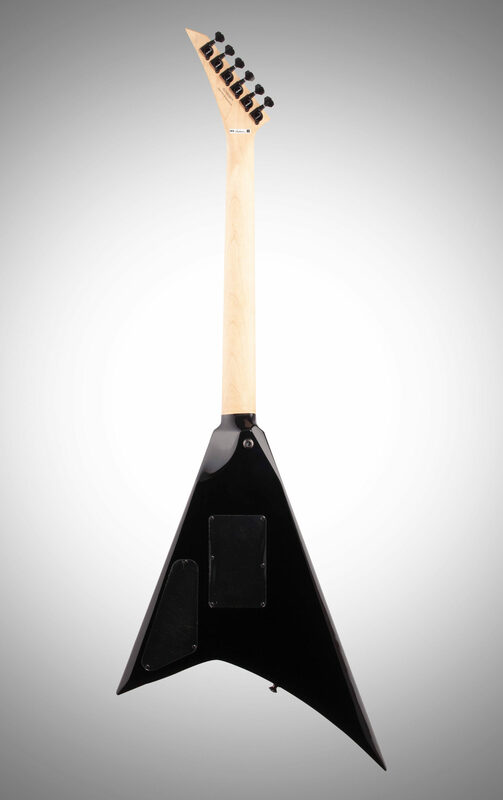 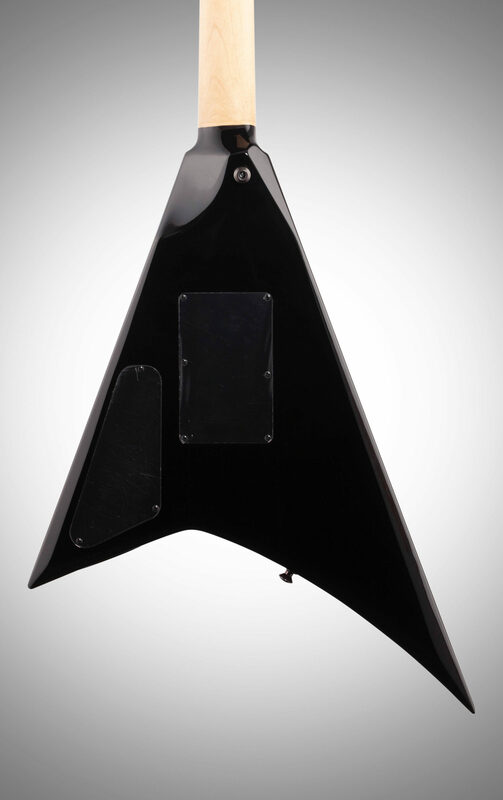 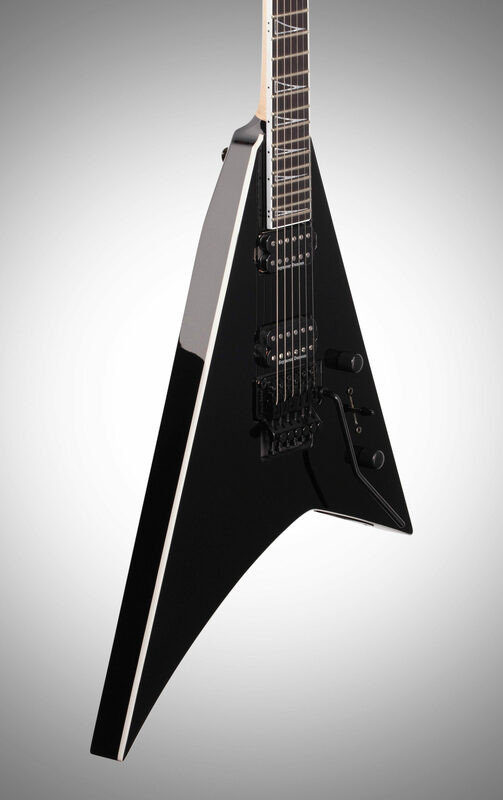 The original and iconic Jackson Concorde triangular shape arrives in Pro Series form with innovative and modern design elements to meet and exceed the demands of today's high-performance players. 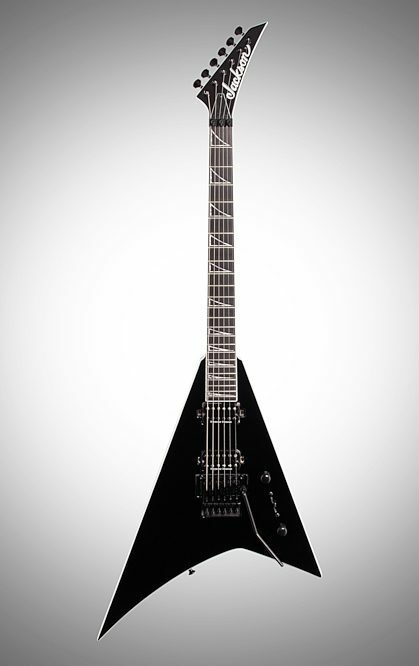 This sleek 25.5" scale turbojet axe is loaded with premium features including an offset V-shape body crafted out of mahogany, one-piece through-body maple neck with graphite reinforcement and scarf joint and a newly designed scalloped shredder's heel to allow for comfortable access to the upper frets. 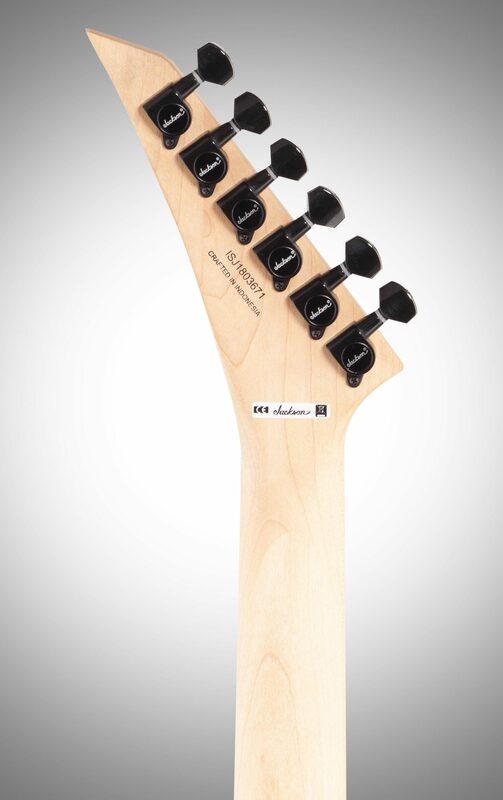 Hosting 24 jumbo frets and pearloid ghost fin inlays, the 12"-16" compound radius ebony fingerboard is designed for highly technical light speed playing--more curved by the nut for comfortable chording, it flattens out as you move up the neck (with hand-rubbed oil back finish) for increasingly fast playing speed and wide bends without fretting out. 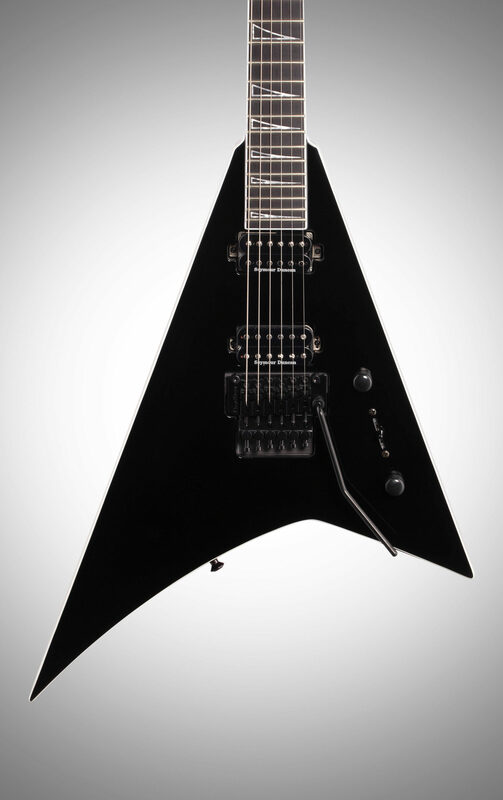 This axe comes equipped with two direct mount Seymour Duncan pickups a JB in the bridge and a '59 in the neck--for one of the most popular and incredibly versatile combinations on the market, providing searing heavy tones as well as smooth clear tones. 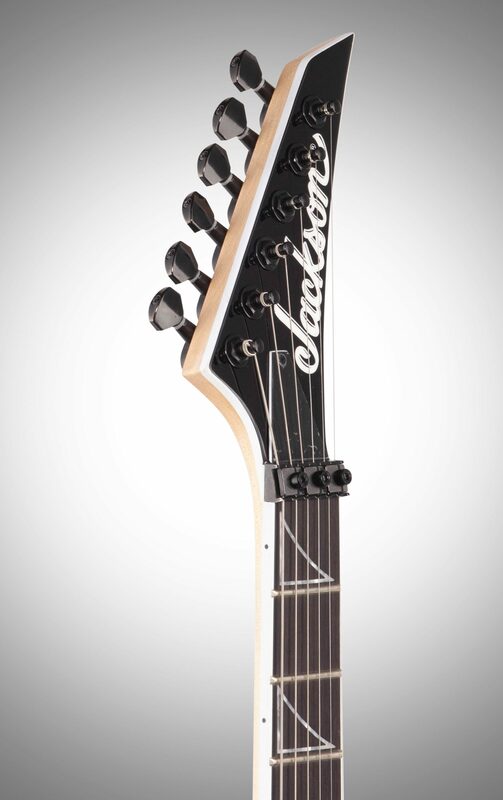 Dive-bomb or flutter at will with the Floyd Rose 1000 Series double-locking tremolo bridge, recessed for pick hand comfort and providing superior string stability, sustain and dynamic tremolo action. 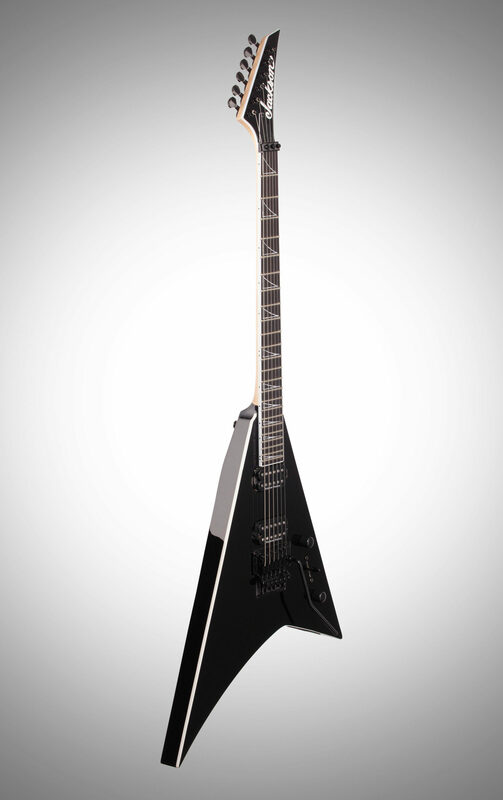 The Pro Series Concorde CD also features single volume and tone controls, three-way blade switch, sealed die-cast tuners, Dunlop strap buttons and Jackson's pointed 6-in-line headstock.